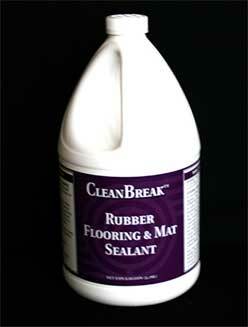 Made in America, CleanBreak rubber flooring sealant is formulated to safely seal rubber floors and rubber mats. 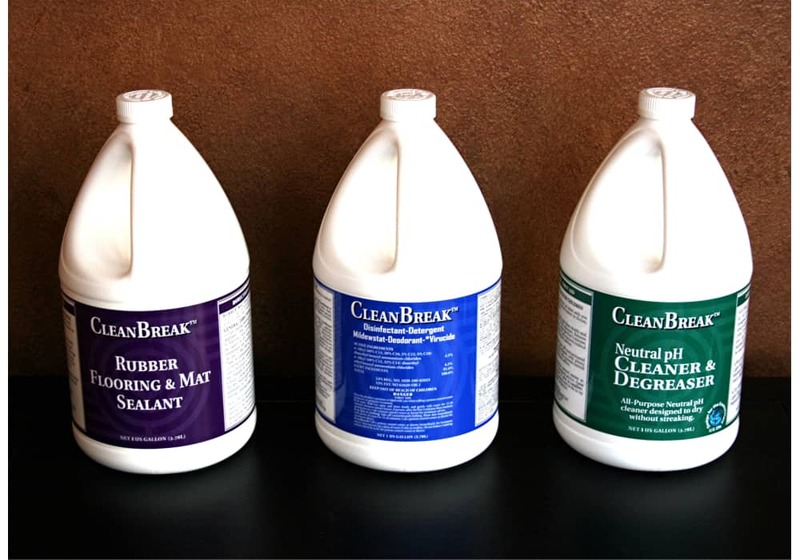 Unlike most sealants, CleanBreak rubber floor sealer is Veterinarian approved. That is why it is often used in animal care & training facilities, kennels, animal hospitals... in addition to various other applications where a sealant for rubber floor is needed. Easy to apply and helps prolong the life of the rubber floor. Rubber Sealant resists dirt and moisture. Seals porous surfaces to keep bacteria, fungus, and viruses out. Exceptional bonding, yet RETAINS FLEXIBILITY in rubber flooring or mats. LONG LASTING and can be re-coated. EASILY CLEANED and sanitized. Water and chemical RESISTANT. Not UV resistant. Apply sealant at a rate of 600sf per gallon for the first coat; second coat at a rate of 800-1,000sf per gallon. 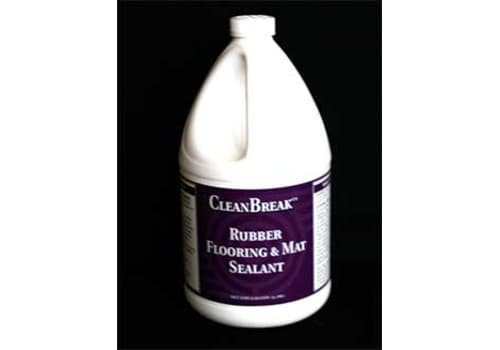 CleanBreak rubber flooring sealant is formulated to safely seal rubber floors and rubber mats. Unlike most sealants, CleanBreak rubber floor sealer is Veterinarian approved. That is why it is often used in animal care & training facilities, kennels, animal hospitals... in addition to various other applications where a sealant for rubber floor is needed. Water and chemical RESISTANT. Not UV resistant.